* the Pevsner Architectural Guide, The Buildings of Wales series, Pembrokeshire, published in 2004 by Yale University Press. * Wales's Best One Hundred Churches by TJ Hughes, published in 2006 by Seren Books. *WALES, Churches, Houses and Castles by Simon Jenkins, published in 2008 by Allen Lane. St Mary's Church is a fine example of the Decorated style of architecture but its foundations are much older and the remains of a Norman church are incorporated in the massively thick south wall. The north aisle was added during the c13. 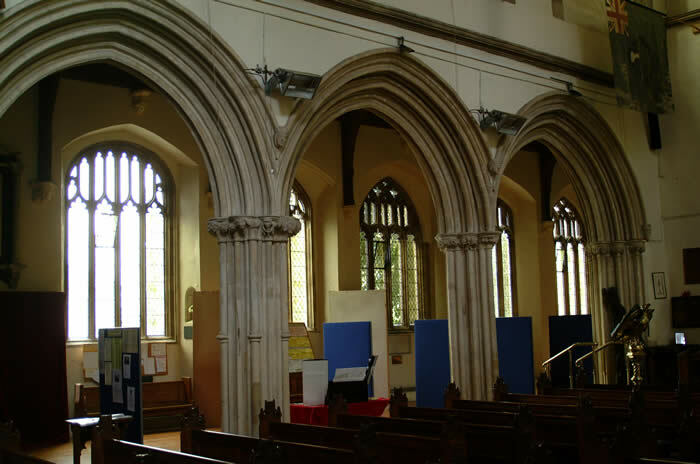 The arches between the nave and the north aisle are fine examples of Early English stonework. Entry to the church is through the north porch which, with the tower and the south porch, was also added during the c13. Most of the windows in the church are Perpendicular although the glass is modern.